If you use Android Studio to create an app using Android chart, you can download directly the jar containing all the classes and add it to your project. When the download is completed, you should add the library under libs folder so that I can be included automatically into your project. Now you are ready to use the lib! 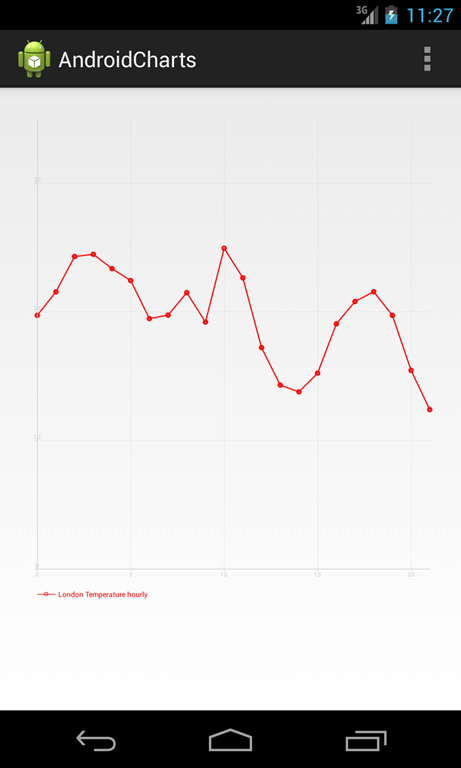 When creating an Android chart, you need usually a set of data that has to be drawn in the chart, in this case to have real values and to not re-invent the wheel we can suppose we get these values using WeatherLib so that we will plot the atmospheric parameters (like temperature, and pressure..). almost done, the series contains the data. If you look carefully we represented on X-axis the hours and on Y-axis the temperature. At line 3, we set the line width. One aspect you should consider when using achartengine is that the dimensions are expressed in pixel not in dp!. At line 4, we set the color and then at line 8 we set the Point Style, meaning the point contained in our series. A small tip: if you create a chart, you will notice that around the chart there are black borders, if you want to remove them you have to set this margin transparent (line 2). At line 5,6 we set the Y value range. Range a bar is special type of bar chart and it is interesting because it uses a different type of data series. A Range bar is a bar that has a lower and upper limit. 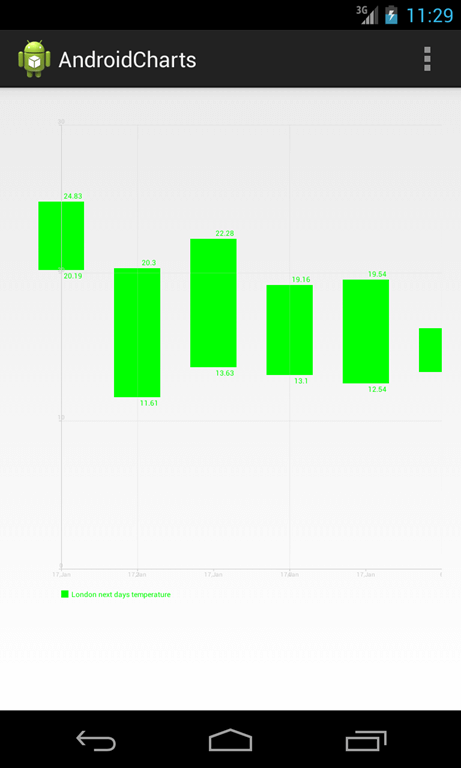 We can use this type of chart if we want to plot the max and min temperature. 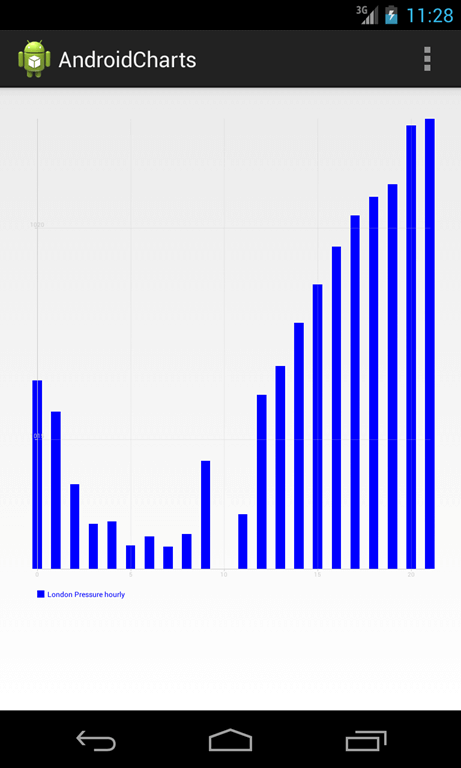 At the end of this post, you know how to create charts in Android. 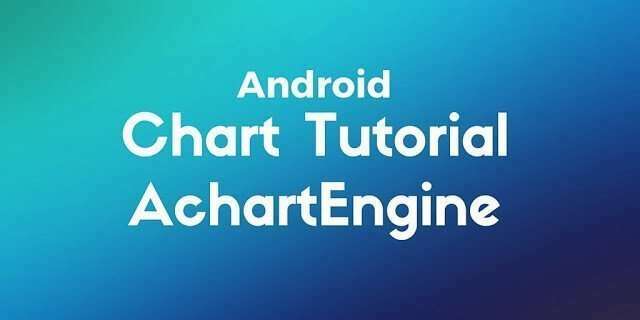 As you have seen there are several charts available and using achartengine is possible to build easily and fast charts in Android. This library can be helpful when you have to represents some data using charts as it can happen in the weather current conditions. Draw with animation means like draw in real time? In your linechart example, where is the dataset being loaded before it is used in chartfactory? It would be nice if you also posted the source code so we can study it. Thanks for a great tutorial. I need to draw an ECG waveform using Achart engine with sampling freq-150Hz, Y axis – 1cm is 1mV & X axis- 1 cm = 4seconds. How do I modify above sample to achieve the same? I am sorry, I am absolute beginner and therefore I can not achieve to get this working. Why didn’t you write where to put all these lines? Why didn't you write where to put all these lines? Why on earth wouldn’t you post which files you’re writing those lines on? I have implement Week day values on x -axis from Mon to Sun. but my values are going out of screen how i manage them to set to particular screen width. Can you send to me the source code? Where is Area Chart? Does MP Android provides its support? Hi, I want to plot small image in place of graph reading Point. But I can able to set only point-style. Can you please update achartengine this new feature in your new version… Thanks in advance. Hi ,I am new to android.when i am adding the dependency in build.gradle file it is showing exception ,can u plz tell me how to do it. Thanks, that was pretty helpful. Hi, I’m using a line chart from this library. I have plotted all my values to the chart. But the chart doesn’t show. I did not get any error also. Kindly help. Did you add the values?